Mozilla Firefox is a complete web browser. Its extensions, user generated add-ons for the web browser, heave it to the next level and make it a browser that sticks out of the masses. This article will list the most important extensions to download files with the Firefox browser. The following list contains the most important Firefox download extensions. The concentration on the most important (and not an overinflated list) makes it easier for anyone to handpick the best download extensions from the list. The list is divided into the categories files, images, movies and misc. Each category lists a handful of extensions linking directly to their download page at the Mozilla website. Update: Please note that some of the extensions may not work anymore in recent versions of Firefox, as things have changed quite a bit on the backend site in recent time. We suggest you check out our list of the best Firefox addons instead which covers download extensions among others. 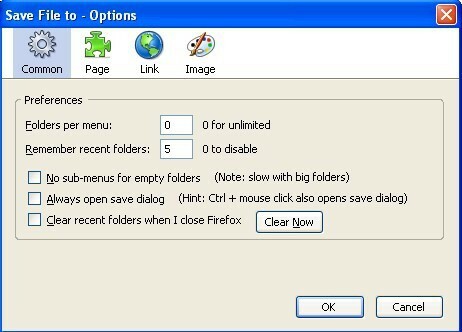 Down Them All - Firefox Download Manager that enables you to download files and images with just a couple of clicks. Fire FTP - ftp client for the Firefox web browser that runs inside the browser. Flash Got - Download Manager integration in Firefox. Get Filesize - Retrieves the file size of a selected file so that you know how large it is before you start the download. Save File To - Makes it possible to save files into custom folders without having to open the file browser. Spiderzilla - A website mirroring software based on the excellent HTTrack. Save Image In Folder - Save images in personalized folders. 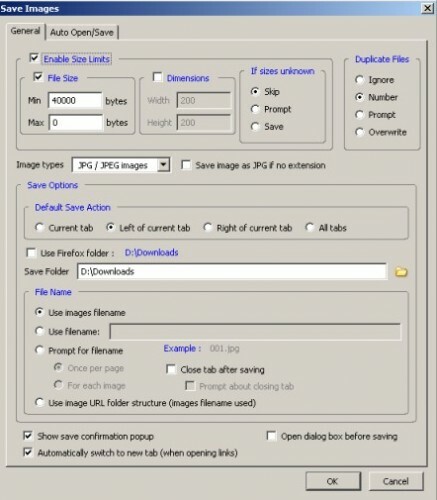 Save Images - Saves the images from the current tab to a specified location. Clean And Close - Replaces the clean up button in the Firefox Download Manager with a clean and close button. Download Rapidshare @ Office - The add-on converts all Rapidshare download urls to IP and uses the IP to download them. Download Sort - The extension saves downloads automatically into different folders. Download Status - Displays detailed download information like the average download speed, the time remaining and the number of files. Download Statusbar - Displays downloads in a status bar instead of the default download manager window. Link Alert - Changes the mouse cursor according to the file type. MD5 Hasher - Calculates hashes of files that have been downloaded to the local computer. Open Download - Allows to download and open any file from the Internet in the default application for that file type. RDown - Rapidshare Downloader - Rapidshare Download helper. Snap Links - Use the right mouse button to mark multiple links at once. Did we miss any noteworthy extension? Let us know in the comments. Update 2: We have removed links to extensions that are no longer available. Wait, what? Firefox? Are people still using that old thing?
. : More cool addons :. It’s entry in Mozilla addons says its for pre-Firefox 3. Speaking of extensions in general, another mention for ScrapBook, really useful in my opinion. Thanx for the list. Had no one read the article? It’s about DOWNLOADING extensions, not “the best extensions”. Probably the most commented post this week, shame most have nothing to do with the article.